If you're a health fair planner, health fair vendor, an HR manager who's planned health fairs at multiple companies, or a benefits professional who assists their multiple groups with their employee health fairs - then you know certain companies have a better employee turnout than others. Quite often, these poor employee turnouts can be avoided by taking the proper steps. There's nothing worse than taking the time to plan a health fair for your employees and then having none of them show up. You're standing there feeling hopeless, apologizing to vendors as they start to network, or even worse, pack up early. For some of you, you don't have this problem. A lot of the tips I'm about to share, you most likely already implement. But for the HR managers or health fair planners reading this saying, "yep, that my/our group's problem," then this post is going to help. There's an old saying in football: "the best ability is availability." Meaning, it doesn't matter how talented you are if you aren't available to play. It doesn't matter how awesome your health fair is if your employees can't attend due to other work obligations. If there is huge, end-of-week deadline - not a good time for a health fair. If a large chunk of your employees is at a conference, offsite meeting, etc. - not a good time for a health fair. If the busiest time for the distribution center is in the morning - then don't schedule the health fair in the morning. It seems silly but all of those examples I just mentioned, I have personally witnessed. 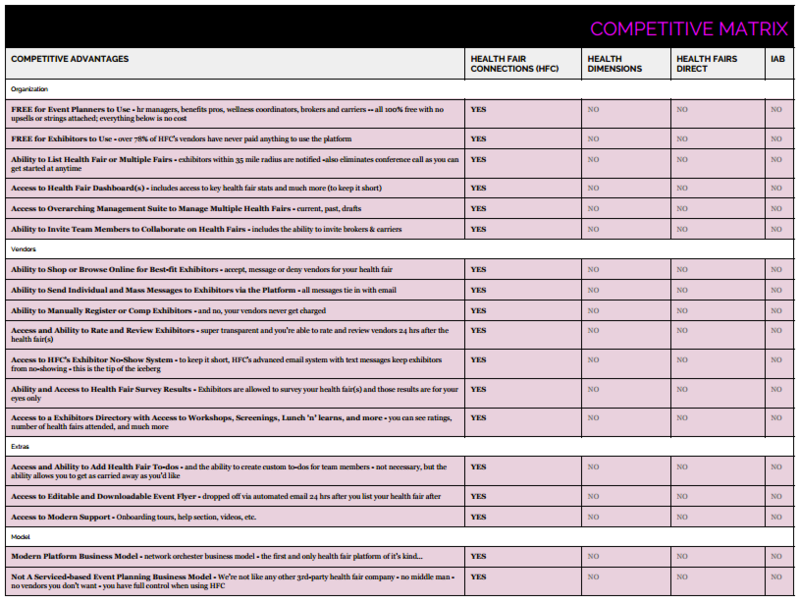 Be sure to check your company's schedule for big deadlines and events - and work around them. And don't be afraid to reschedule! Vendors will not mind the scheduling inconvenience if it means they get to interact with a higher percentage of the employee population. 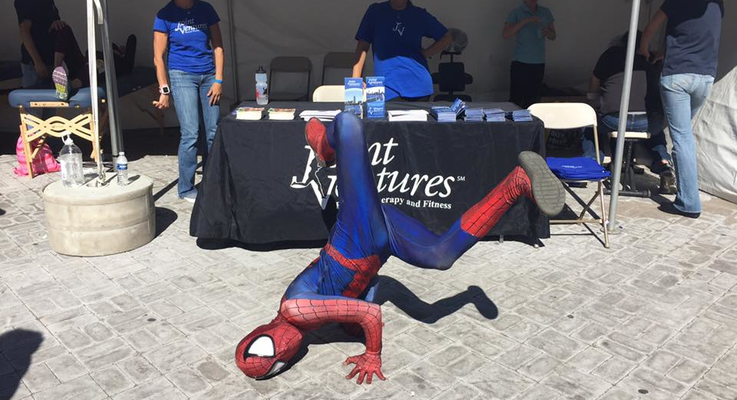 Too many times have I been at a health fair setting up, and an employee walk by and ask, "what's going on today?" Or, when they enter the health fair venue and say, "What's going on? Oh, I didn't even know there was a health fair today." You're never going to have a high employee turnout if your employees have no clue about the health fair. And this doesn't take rocket science, people. Create a simple health fair flyer (or download a graphic flyer from HFC's platform) and email it, as well as post it in high foot-traffic areas - elevator, bathroom doors, breakroom refrigerator, to name a few places. Also, send out email reminders the day of the event and if you have the capability make an announcement via intercom. 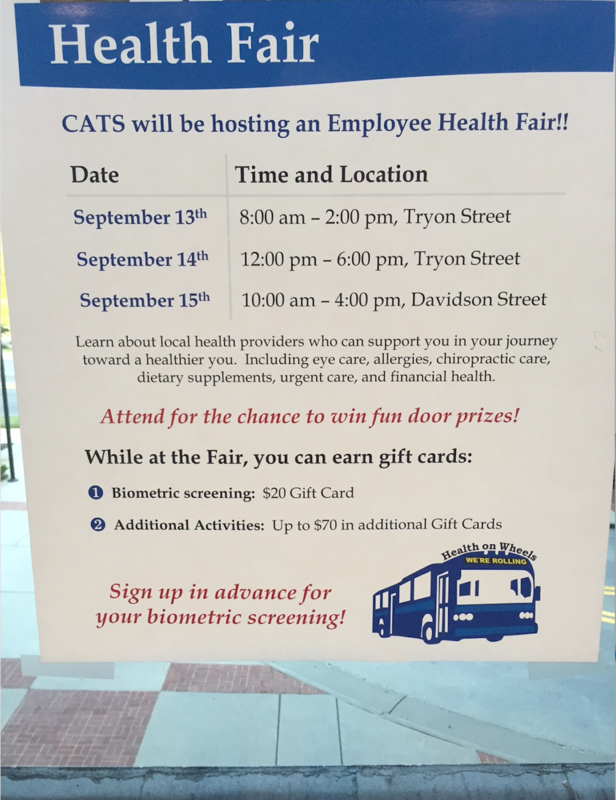 This one is pretty simple and straightforward: you can almost guarantee a boost in employee turnout if you can provide lunch or breakfast to your employees at the health fair. If you have a budget for your health fair, I highly recommend providing food. And even if you don't have the budget, don't give up so easily. You quite possibly can find vendors that will donate enough free food to accommodate all of your employees (or at least a majority). I have personally seen Jimmy Johns and Einstein Bros Bagels deliver free food for the Midwestern University Health Fair in Scottsdale, Arizona. So don't think providing food is out of the question. This tip is not only for how to increase turnout for your health fair, but this will also boost turnout for biometric screenings and make your life easier during open enrollment. By combining the health fair and biometric screenings - you're going to get folks that just planned on coming to the health fair but decided to get screenings, and vice verse, people just wanting to get their screenings done will visit other vendors at the health fair. As for open enrollment, all of your employees need to get this done so why not have your benefits broker or insurance carrier set up a couple of laptops and have employees knock out OE while they attend their health fair. 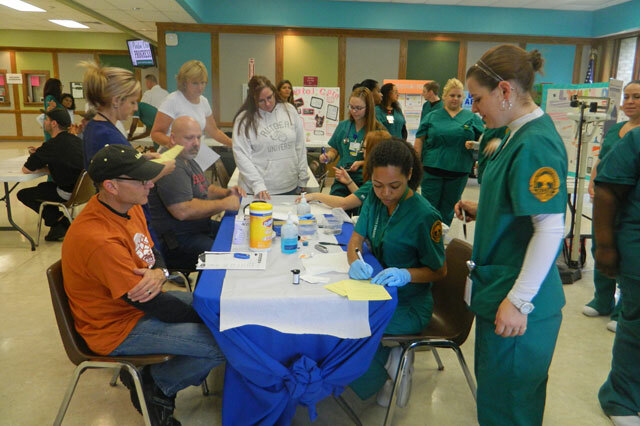 It's pretty simple - more employees are gong to want to come to a fun and interactive health fair compared to one that just has their benefits providers. If you have a bunch of vendors that are wallflowers, then the few employees that first attend are going to spread the word to their fellow employees that the health fair is boring. Bad word of mouth from the first few participants is going to seriously hurt the employee turnout for the rest of the duration of the health fair. In regards to an attraction, this might take a little brainstorming. So there you have it! 5 tips that should help boost those low employee participation numbers. Please share with any HR managers, health fair planners, benefits pros or anyone else you know who struggles to get employees to attend their health fair. Thanks for reading and please feel free to comment with any questions or suggestions!